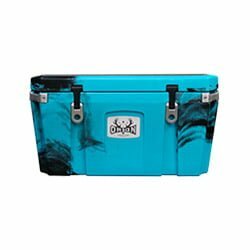 Anyone who has ever owned a cooler has probably used it for some type of get-together with friends and family at their houses, and there have been points where we decided to see if it would do just as well at keeping food and drinks safe and cool for occasions in the outdoors, whether it’s a party by a lake, some mountains or a beach. However, there are ice chests that are made specifically for situations where we’re spending a good chunk of time in the wilderness, and it’s best to stick with options that are tough and durable enough to handle the worst that nature has to offer. 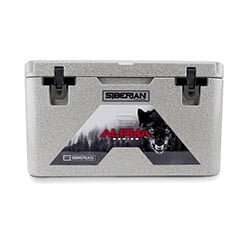 For such an occasion, there are very few that fit the bill better than Siberian’s ice chests, as they are designed just for keeping your beers, sodas, meat, snacks and other items in prime consuming condition and out of the hands of the most dangerous of animals and weather conditions. This Montana-based company has been focusing on making sure that everyone’s adventures in the outdoors are as fun and convenient as possible by providing ice chests that can keep explorers as refreshed and relaxed as possible, and it has been doing a good job at that since its founding in 2015. Siberian Coolers has been operating by the motto “Proven Beyond” to ensure that its products can handle anything that most coolers are not capable of escaping damage from, and we’re here today to provide a detailed Siberian Cooler review explaining how exactly this company accomplishes that. 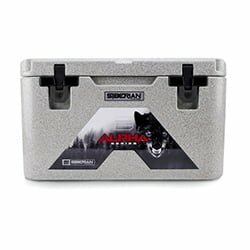 For those who are more data-driven when it comes to choosing the cooler that best fits them, whether it be for the outdoors are any other situation, we’ve included a lineup table for the Siberian Alpha Cooler to show how it performs in certain areas and how it compares to other popular brands. Take a look at our lineup table below so that you make an informed purchase. 24.69" x 13.78" x 13.62"
31.02" x 19.21" x 18.875"
The main concern for people who plan to take coolers with them into the wild is if they are tough enough to keep their items safe and not be covered in dents and scratches after animals try to get inside or nature decides to treat you with rain and hail. There are no worries about that with the Siberian Alpha Cooler, as it comes with rotomolded construction so that it stays in the same condition as when it was purchased. 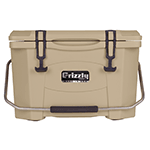 The latches are made of heavy-duty anodized aluminum so that they stay attached to the cooler, and the hinges are made of stainless steel so that the lid will stay locked when you lock it and attached to the ice chest when the weather is at its worst. 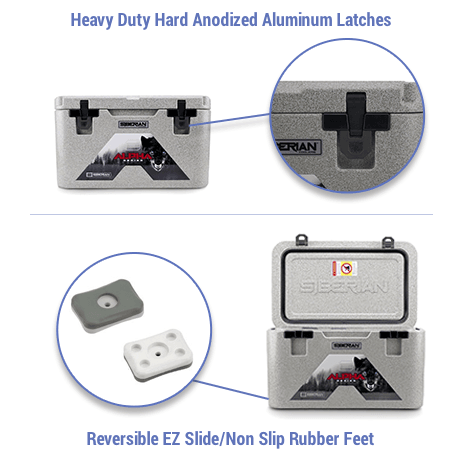 Non-slip, reversible rubber feet are included so that the ice chest stays exactly wherever you put it and doesn’t slide off a truck or down a hill when rain passes by and gets everything wet. 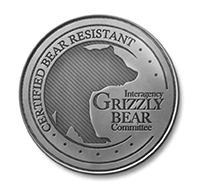 In case you’re worried about animals trying to get what’s inside, you’ll be happy to know that this cooler is IGBC Certified Bear Resistant, which will keep bears, and even wolves and mountain lions, from stealing your meals and drinks. When it comes to what else the Alpha Cooler has to offer, there are plenty of features that keep customers satisfied, such as handles with straps made of heavy duty nylon so that you have a firm and comfortable grip while carrying the ice chest. If you end up getting one of the smaller ice chests from this brand, you’ll have an easy time carrying it on your own thanks to the molded-in side handles. The lid is made easy to lock so that even smaller animals like squirrels, raccoons and opossums can’t find their way inside and take your snacks. One area where Alpha ice chests have an advantage even over the biggest brands in the cooler world is accessories, as those of this brand include a heavy-duty wire basket for carrying not only food and drinks, but extra tools and first-AID kits, as well as a cutting board for keeping items separate, whether its food from drinks or items for kids from those for adults. The security lock bracket ensures extra safety for items inside, and a cup holder is included for whatever beer, soda or water that you want to enjoy while you gaze at views or wait for fish to take your bait. Molded tie-down slots make it even easier to keep your ice chest from moving around, and the quick flow drain plug makes getting rid of extra water at the end of the day a piece of cake. Every cooler owner wants to make sure that whatever drinks and food they keep inside stay cold for as long as possible as to avoid treating themselves and other people in their group with warm meals. The Alpha coolers take that into consideration by providing an ice retention for at least 8 days. This capability has earned Siberian’s ice chest plenty of praise in online reviews, with some pointing out how they still had several blocks of ice in their coolers after over a week as if they were just put inside. Several factors play into these ice chests being able to keep items cool for so long, such as the freezer-style lid gasket, which provides a tight seal so that cold air doesn’t escape, and a no-sweat interior that makes sure the outside stays dry. Raised foot pads are included to ensure extra retention by keeping the cooler off any surface that could be warm enough to melt the ice. 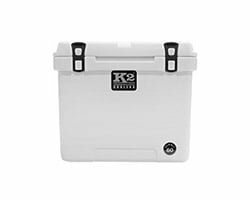 Several sizes are available for the Alpha coolers depending on what you plan to bring to your outdoor adventure or take home, with the smallest being the Alpha Pro Series 22 Quart Sidekick, which weighs 14.30 pounds and measures 19.60 in. x 13.50 in. x 13.75 in. on the outside and 13.80 in. x 9.10 in. x 9.05 in. on the inside. 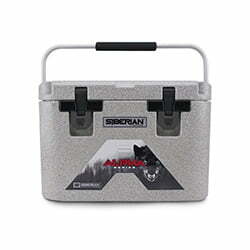 Next is the 45 QT Alpha Pro ice chest, weighing in at 23.5 pounds and coming with an outer dimension of 26.22 in. x 16.30 in. x 15.50 in. and an inner dimension of 20.35 in. x 11.02 in. x 10.63 in. 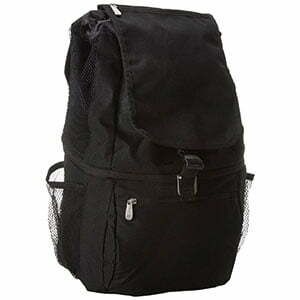 The second biggest in this brand is the 65 QT Alpha Pro Cooler, which weighs 31.30 pounds and measures 29.85 in. x 17.87 in. x 17.25 in. on the outside and 23.54 in. x 12.48 in. x 12.05 in. on the inside. The title of the largest goes to the Siberian Alpha 85 QT cooler, weighing in at 36.5 pounds with an outer dimension of 31.02 in. x 19.21 in. x 18.875 in. and an inner dimension of 24.69 in. x 13.78 in. x 13.62 in. Customers will have white and granite to choose from for colors of their coolers, which doesn’t sound like a lot of options but shouldn’t be a problem if performance is their main priority. Another way that the Siberian Alpha coolers are able to stand out among the rest is with their warranty, as this brand keeps you covered from issues with manufacturing for a lifetime, ensuring that you’ll be able to use your ice chest for practically forever. A lifetime warranty can be hard to come by, with some of the few that provide one including Otterbox, Pure Outdoor and Pelican. This also puts Siberian above big names in this category like Esky, which provides a warranty of up to six years, Yeti, which has your cooler covered from manufacturing damages for five years, and RTIC, which keeps you covered for up to one year. The Siberian Coolers are best fit for outdoorsmen of all sorts, whether you’re an expert hunter and fisherman or a fitness fanatic who loves going on hikes and bike rides whenever there’s a chance. Military personnel is also sure to benefit from this brand, as these ice chests are made to deal with tough situations that they deal with in nature. This option may also come in handy for tour guides who have long periods planned for traveling with people who are new to certain spots in the outdoors. These coolers are made overseas and designed in the United States to ensure that they have the toughest design possible while still satisfying customers who support products native to America. 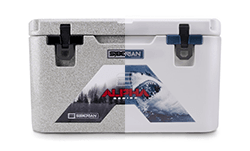 The capabilities of the Alpha coolers are possible because of the Outback Pro series, which started out as the first ice chest brand made for the toughness of the outdoors that got Siberian the attention that it has now. 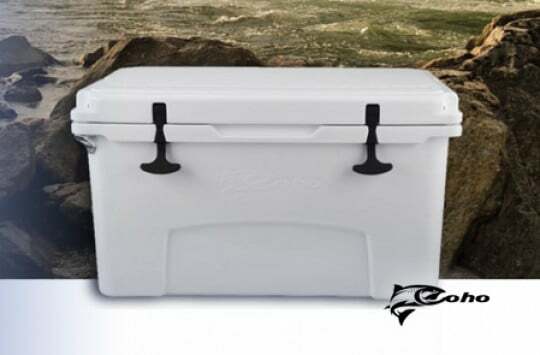 Like the Alpha Pro series, Outback coolers come with a lifetime warranty so that you are able to use your cooler for as long as possible, and it comes with a rotomolded construction so that the ice chest can handle the biggest of animals and most dangerous of weather conditions, coming out scratch and dent-free in the end. Accessories are also a common factor for both brands, with those of the Outback series including a basket for holding food and drinks, a divider for keeping food, drinks and other items separate, and replaceable parts that come in handy if a certain part of your ice chest gets lost in the woods. Siberian has also taken into consideration the difficulty that customers can have with carrying coolers of a certain size, as the Outback’s sizes include the 30 QT, 50 QT, 82 QT and 125 QT ice chests. The Alpha series, on the other hand, comes with slightly smaller options so that you have an easier time carrying your cooler from the truck to the campsite. However, bigger options also provide a seating option so that you have a comfortable place to relax as opposed to large rocks and fallen trees. When it comes to measuring how well the Siberian Alpha series performs in the world of outdoor coolers, there isn’t a better test than a comparison to Yeti, the top dog in the game. 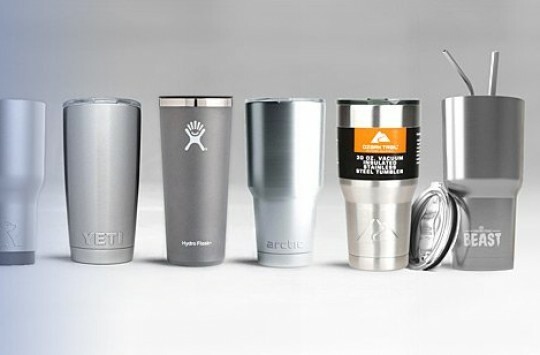 Yeti coolers may have a higher spot when it comes to name recognition, this brand has plenty of similarities with Siberian’s options, especially when it comes to purpose and design. Rotomolded construction is included in both options so that they can provide the best experience possible for outdoorsmen. Whether people go fishing, hunting, biking, hiking or camping, they will be able to make great use out of both Siberian and Yeti. Both brands will be able to keep food and drinks cold for over a week, ensuring that no one has to eat warm food or drink warm water or beer. The biggest and baddest beasts of the woods will have a tough time trying to get inside of both coolers, and they won’t be able to leave a dent or scratch on either option. However, Yeti has the edge when it comes to how big you want your cooler to be. The Siberian Alpha series comes with several options that are tough while small enough for you to have an easy time carrying them throughout your journey. While Yeti has options in a similar size range, including its Roadie, those who plan to take home big game will want to get their hands on members of the Tundra series. The Tundra 350, the biggest member of this club, has an outer dimension of 24.75 in. X 23.25 in. X 63.5 in. and an inner dimension of 16.75 in. X 17.75 in. X 54.625 in. This makes the Alpha series much more fitting for smaller game and fishing trips. Despite the size differences, the Alpha series comes out on top when it comes to affordability. The price range for this brand is roughly between ~$200 and ~$400, and while Yeti has offerings at similar prices, you’ll have to fork over a lot more for the bigger ice chests. Being Yeti’s biggest option makes it the most expensive at nearly $1,300. 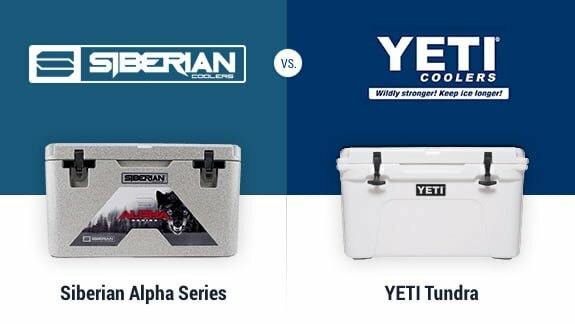 While both brands have a proven track record, and Yeti stands as the most popular in the cooler game, the Siberian Alpha series does a better job at sparing your wallet while keeping your items safe and sound for outdoor adventures. We recommend that you give this brand a shot and see how it does compared to bigger names. As with most items, we recommend that you get your Siberian cooler at Amazon, which has proven to be a dependable spot for buying products online. You’ll be able to read a variety of reviews from customers (like here) so that you know what to expect from this cooler brand, and this site provides the opportunity to return your purchase in case it doesn’t do as well as you thought. Being a Prime member lets you enjoy free shipping and other benefits. In case you have trouble finding Siberian coolers on Amazon, there’s always the option of going to the company’s website and buying it there. The prices are in the same range, and plenty of information about the products is available in case you’re new to this brand. 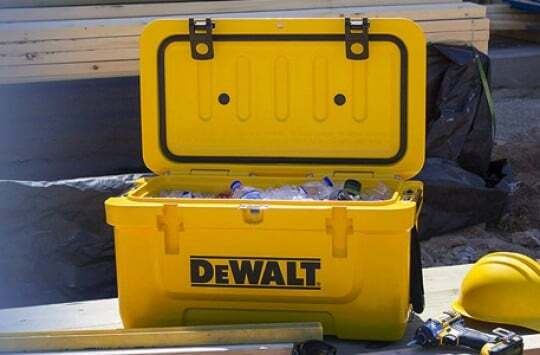 If you’re used to bringing your average party-going cooler on trips in the outdoors, it’s best that you change things up and try out an ice chest that is designed just for this situation so that you come back home with a scratchless and dentless cooler. 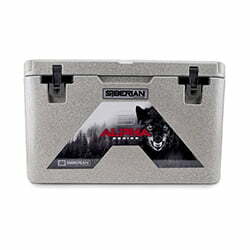 The Siberian Alpha Cooler series has a reliable brand in this category, as it is made just for hunters, fishers, bikers, hikers, military personnel and others who love and have experience with adventures in nature. The toughest of animals and weather conditions won’t have an effect on these ice chests, and you will still have blocks of ice inside by the time you get back home. Plenty of accessories are included to ensure that your use is not only productive, but fun. Get your hands on Siberian coolers as soon as you start planning your next trip in the wild. The Siberian Alpha series cooler has a reliable brand, as it is made just for hunters, fishers, bikers, hikers, military personnel and others who love and have experience with adventures in nature. Greg, thanks so much for the post.Really thank you! Great.